Sadly, a colleague recently lost her Dad. and the flowers are from dovecrafts too. I made the sentiment in publisher on the pc. The flourish is a marianne die. This image is from a load of background papers that I have had for yonks...and never used! and added a martha stewart punched butterfly (slightly pearlised). and was touched by its words. The poppies are my friends favourite flower. 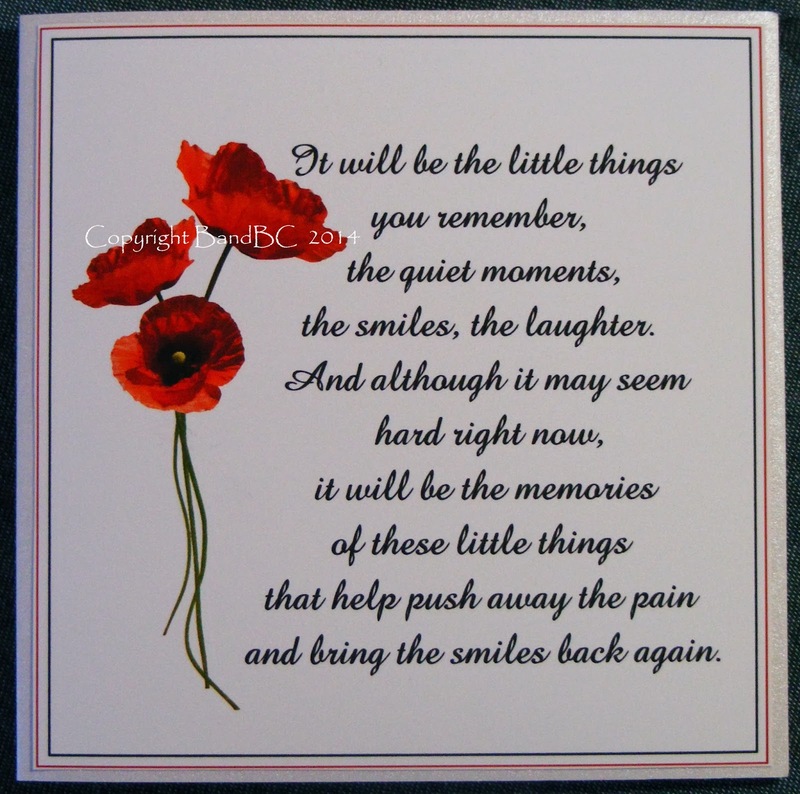 Beautiful card, my deepest sympathy for your friends lost. Thank you for your lovely entry at Scrapping4funChallenges! Wow!! Beautiful and smart ideas to print on printed images. 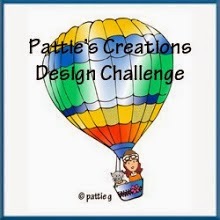 Thank you for joining me in the Scripture Challenge at Creating in Faith Hope n' Love!!! May your day be blessed as I have been blessed in viewing your projects! Beautiful card! I hope it brings comfort to your friend. Thank you for sharing at Cuttin' and Stampin'! Beautiful background with the butterfly. Thank you for playing along with us at Cuttin' and Stampin' Challenge. Three wonderful cards for a very sad occasion. 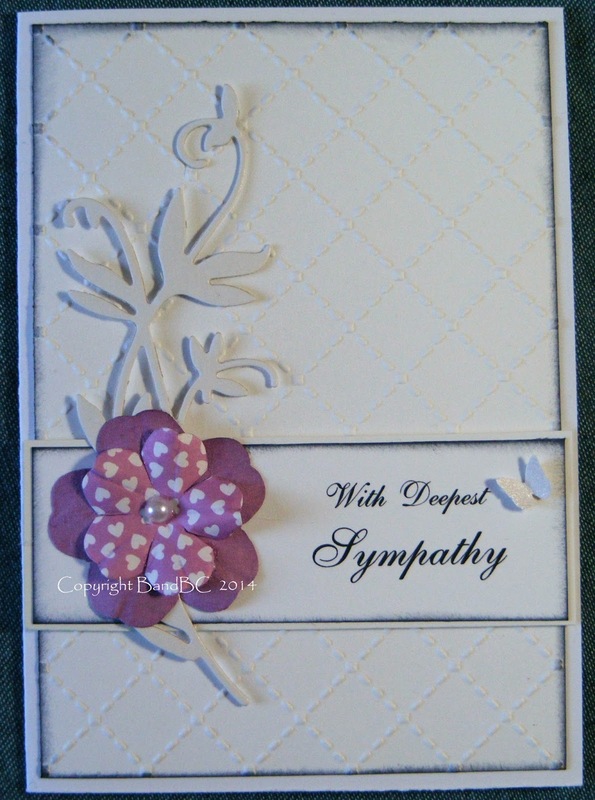 A very gently sympathy card! It's hard making these type of card, and I usually shy away from doing them but you've created some perfect cards.Many thanks for taking part in the first That's Crafty! Challenge. You made some beautiful cards, the sympathy ones are always so difficult to make and you pulled it off beautifully! 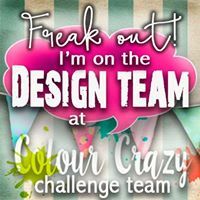 Thanks for joining us at Jo's Scrap Shack's Fun-Day Friday Challenge! Very pretty! 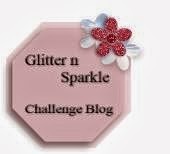 Thanks for your lovely entry at Scrapping4FunChallenges. You have made two really appropriate cards for such a sad occasion. 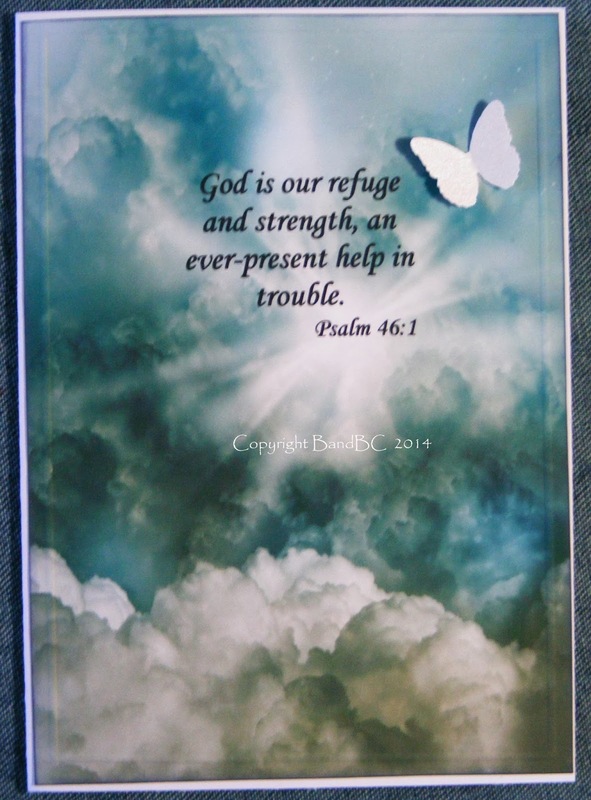 The diecut and embossed one if clean and simple and the verse one is my idea of what the approach to heaven is like! There are always great prizes to be won from our wonderful Sponsors. Beautiful cards for such a sad occasion. Thanks so much for joining us over at LOC Challenges!